It’s clear that yet is used here as a conjunction, with the meaning of: “but, nevertheless” (Webster’s Dictionary). Life is hard, wouldn’t you agree. Bad things happen to us, even in the best of times. Thus, the last thing I want to do is minimize and certainly not trivialize the heartaches that everyone on this planet has experienced—some more than others (an enigma in and of itself). Such as the loss of loved ones, especially children or those who die before their time. Messiah Jesus is the Son of God, proven by the amazing authority of what he said and how he said it. And even more by powerful miracles of all kinds that no one before or since has come close to doing. 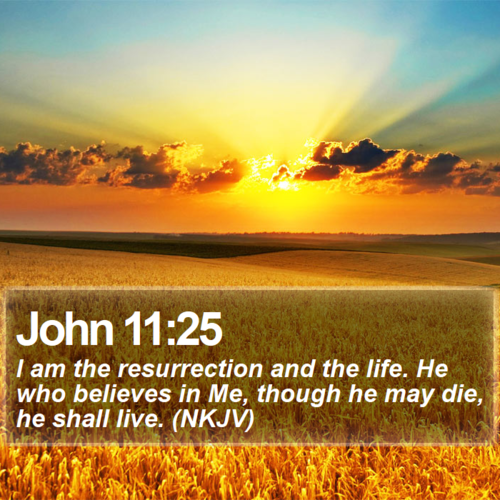 Most of all by his magnificent resurrection from the dead. Yet, as the Son of Man (completely human as well as divine), Jesus also agonized over the troubles that befall humanity. “He was despised and rejected—a man of sorrows, acquainted with deepest grief…. Yet it was our weaknesses he carried; it was our sorrows that weighed him down… But he was pierced for our rebellion, crushed for our sins. He was beaten so we could be whole. He was whipped so we could be healed” Isaiah 53:3-5). Though he brought joy to thousands of people during his ministry on earth and millions more since then, his very purpose for coming to this earth in human form (Immanuel, God with us) was to suffer and die to bring God’s salvation to humanity. “But it was the Lord’s good plan to crush him and cause him grief. Yet when his life is made an offering for sin, he will have many descendants…” (Isaiah 53:10, emphasis added). Who are those descendants? “But to all who believed him and accepted him, he gave the right to become children of God. They are reborn—not with a physical birth resulting from human passion or plan, but a birth that comes from God” (John 1:12-13). On at least two occasions (the ones recorded), Jesus shed tears. The first time is when Lazarus fell ill and died. “Jesus wept” (John 11:35, NASB). Jesus not only wept but also became quite angry. “When Jesus saw her (Mary) weeping and saw the other people wailing with her, a deep anger welled up within him, and he was deeply troubled” (John 11:33). Not slightly, but deeply angered and troubled. Even though it’s easy to understand why Jesus wept, what was it that made him so angry? No guessing is needed here. It’s the same thing that angered him on other occasions, i.e. the sorrowful state of humanity that not only led to physical death, but spiritual death (eternal separation from God) caused by sin. Coupled with so many who had already rejected him as the only hope for the human race’s abysmal condition. And many more people right up to the present day, who refuse to trust in Messiah Jesus—God’s only remedy for sin and death. Which is also why he wept over his own people as he approached Jerusalem just a few days before the Jews (mainly the religious leaders) demanded his crucifixion and the Romans carried it out. “But as he came closer to Jerusalem and saw the city ahead, he began to weep. ‘How I wish today that you of all people would understand the way to peace. But now it is too late, and peace is hidden from your eyes” (Luke 19:41-42). He went on to say that Jerusalem and the Temple would be destroyed (which it was some 40 years later), providing the reason for that tragedy to come: “…because you did not accept your opportunity for salvation” (Verse 44). Also, see Matthew 23:37-39, for more poignant words that Jesus spoke as he approached Jerusalem that day. Not long before that, he had vented his anger toward the Pharisees, calling them hypocrites and brood of vipers. Why? Because they were the blind leading the blind. They not only had rejected the clear evidence that Jesus was the Messiah but had flaunted and misused their position and power to persuade countless others to ignore what Jesus had said and done to prove that he was their Messiah, the Son of God (Matthew 23:13-36). Proof that God is not only great, but also so very good. So good that he would send his only Son to take our sins upon himself and pay the ultimate price to pardon the (our) penalty for those sins. This side of eternity, we may never know the reasons for everything that goes wrong in our lives. Nevertheless, God provides a broader-life perspective and world-view principle for everything and everyone; for those who question and even challenge the premise of God’s greatness and goodness in the context of life’s troubles and tragedies. This perspective and principle can be summed up in two words: Trust Him. In a moment, we’ll look more closely at why (we can say) God is great, yet so good; by contrasting those two divine qualities to that of people—particularly those who are in positions of power and authority. First, let’s examine three things concerning this matter of God’s greatness and goodness in the context of bad things that happen. (2) Free Will—The Freedom to Choose: For that God-given liberty to mean anything to mankind, there must be a choice between right and wrong, good and evil, life and death. Already, one of God’s highest angels (Satan) had exercised his free will and rebelled against God—along with one-third of the angels. As we know, Satan immediately set about to persuade Adam and Eve to join him in this rebellion. The essence of humanity’s choice, one that would influence all other choices, was quite simple: Take (trust) God at his Word. They decided not to trust God who KNEW what GOOD really was. Not just good, but what was totally best for them in order to live and thrive in the ready-made paradise where God placed them—in which everything they needed had been provided. Even the wild animals were tame. A world in which there was only one decree, not ten commandments (given through Moses after the fact of man’s fall). And certainly not the hundreds or thousands of laws that govern us in today’s world to deter everyone from doing what seems right in their own eyes (Judges 21:25). All of humanity’s ills—disease, natural disasters, accidents, wrong doings of all kinds, and death are a direct (or indirect) result of man and woman’s original sin, a spiritual and physical defect inherited by all. And this sinful condition is simply because our parents chose not to trust (believe) God in what he said and what he would do. They chose death over life. That same choice of eternal life or eternal death remains for all people to this very day. (3) God’s Remedy to Reconcile Humanity to Himself: The choice of life has been simplified even more, so much so that a child can understand it. Summed up in what is the most quoted and memorized verse in the New Testament. Jesus’s very words spoken for all people as given to one of the Jewish religious leaders, Nicodemus. I’ll reference the chapter/verse first, as many readers will immediately know the words. You may even be able to quote it, before you read it. In what is one of the most (if not the most) quoted/memorized passage in the Old Testament, we also find the way not only to eternal life but living life on this earth after salvation. It, too, is a matter of trust (in God) to know what’s good for us … the best. “Trust in the Lord with all your heart and do not lean on your own understanding. In all your ways acknowledge Him, and he will make your paths straight” (NASB; KJV says, he will direct your paths). Concerning Unbelievers: The path of life for those who have not yet trusted God’s plan of salvation is found only in Messiah Jesus, as we read in John 3:16. (Jesus is the Way, the Truth, and the Life—John 14:6). 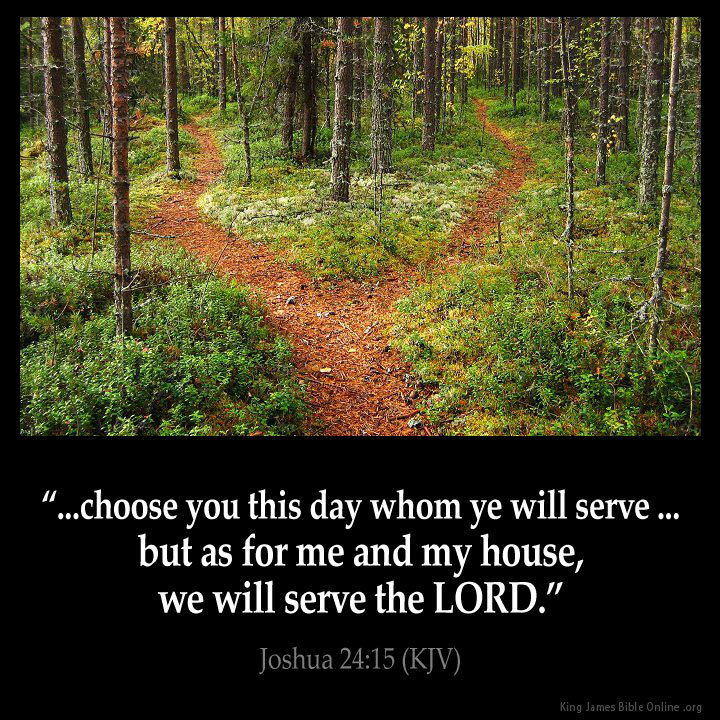 The crooked paths that will lead straight to hell are those carved out by the detour deceptions of man-made religions, humanistic philosophies, and self-righteousness of those who do not believe they need God’s righteousness imparted to them through the sacrifice of Jesus Christ. “For God made Christ, who never sinned, to be the offering for our sin, so that we could be made right with God through Christ” (II Cor. 5:21). Concerning Believers: Though we don’t always see our paths clearly, they are straight and true and the best way to travel with the Lord when we totally trust Him. A full acceptance of and appreciation for the first part of the premise; but sometimes taken-for-granted second part of the equation. Believers in Messiah Jesus are keenly aware of God’s greatness. We are in awe of his attributes, including, but not limited to: all-powerful, all-knowing, and present everywhere he chooses. And believers proclaim along with the Psalmist: “Give thanks to the Lord, for he is good! 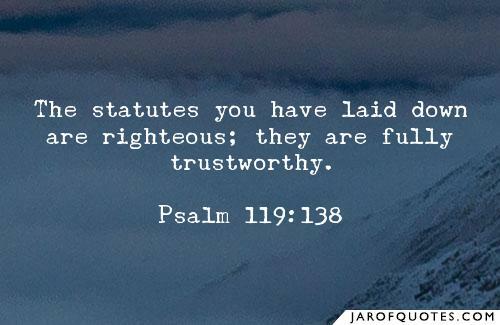 His faithful love endures forever” (Psalm 136:1; emphasis added—His faithful love endures forever is repeated in all 26 verses of that chapter). Why is the “yet” part of this paradigm so incredibly awesome? Answer: Because people, especially those with great power and authority, are not always (some never) good … to or for us. Human greatness and goodness rarely go together. When they do, it’s, at best, temporary. If for no other reason than whatever kindness people in authority may display or impart fades away when they’re replaced or die. 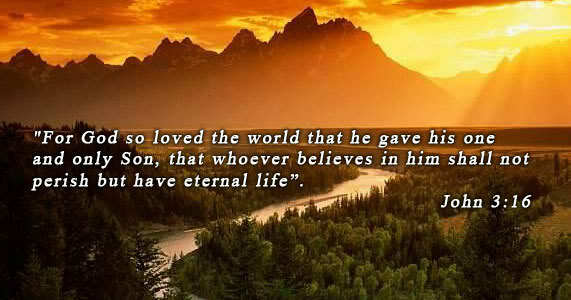 Whereas, our Great God and Savior is from everlasting to everlasting! Of course, God is great. This greatness is manifested in his creation of all things. One of his names is El Shaddai … Almighty God. Yet, he is so good. The extraordinary gift of His Son’s sacrificial death on the Cross to purchase our redemption and grant us eternal life in heaven is God’s goodness (grace) in action. Thus, he is also called Adonai (Yahweh) Tsidqenu … The LORD Is Our Righteousness (Jeremiah 33:16, capitalization in the text). And that’s just the beginning. For example: “The faithful love of the Lord never ends! His mercies never cease. Great is his faithfulness; his mercies begin afresh (are new) each morning… The Lord is good to those who depend on him, to those who search for him” (Lamentations 3:22-23 & 25). God’s greatness and goodness are absolute Biblical stand-alone truths. However, about two years ago while praying one day, I spontaneously said aloud, “Lord, you are so great, yet so good.” I had often said the Lord is great and the Lord is good, and sometimes combined them. But never had I inserted “yet” between the two. Why would I add “yet” to the expression? What was I thinking? Despite God’s infinite power and sovereignty over the heavens, the earth, rulers, and nations (his greatness), he loves each of us, individually. For those who have placed their trust in Messiah Jesus: “And we know that God causes everything (including wrong things we do or are done to us) to work together for the good of those who love God and are called according to his purpose for them” (Romans 8:28, emphasis added, parenthesis mine). God’s goodness begins with his heart’s desire that everyone ever born would believe and receive His great plan of redemption through the once-for-all sacrifice of His Son; to forever forgive our sins and restore us back to himself—as it was in the beginning. This, in stark contrast to even the best ruler or government or religious and idealistic systems on this earth—past or present—that aren’t consistently capable or able at all to show that kind of concern for people. Yet, billions down through the ages have yielded their allegiance and even staked their lives and destiny on those who claim they know what’s good and best for them. Though it’s impossible to adequately define (put in a box) the Lord’s infinite greatness and goodness, we can see God’s preeminence by experiencing his love, grace, mercy, and blessings. We also can try to objectify these concepts on a more horizontal level with at least a working definition, so as not to reduce greatness and goodness to the subjective level of (say, for example) beauty—which as said: is in the eye of the beholder. Some meanings found in Webster’s Dictionary for, great: “remarkable in magnitude, degree, or effectiveness.” Also, “larger than life.” Some synonyms are: predominate, distinguished, eminent. As expected, there is a plethora of meanings for good. With those definitions (as an adjective) specifically related to the following synonyms: Attractive, profitable, wholesome, agreeable, pleasant, virtuous, just, right, true, satisfactory, commendable, kind, benevolent. And others. It’s probably one of the top ten words that aren’t personal pronouns used in the English language (any language) especially when used as a modifier. Listen to the words of Jesus speaking directly to his twelve disciples and indirectly to all who want to follow him. The context was James’ and John’s impetuous (through their mother!) request that they be given the highest position of honor in the Kingdom of God; one at Jesus’s left hand, the other at his right. “…You know that the rulers of this world lord it over their people and officials flaunt their authority over those under them. But among you it will be different. Whoever wants to be a leader among you must be your servant, and whoever wants to be first among you must become your slave. For even the Son of Man came not to be served but to serve others and to give his life as a ransom for many” (Matthew 20:25-28). Jesus was referring to leaders in all walks of life—political, social, economic. More specifically, he was identifying those “of this world.” Meaning people in authority who do not (infrequently or never) acknowledge God in their personal, community, or national lives. Also, “religious” leaders who misuse their positions for personal gain and glory. Whose greatness doesn’t translate into goodness. The exceptions are few and far between. Those in authority whom we consider to be good lead (for the most part) by persuasion rather than by power. They do not abuse and misuse their status just for a personal agenda. But whoever they were (George Washington, Abraham Lincoln, Winston Churchill … pick some of your own) none of them were deemed “good” by all the people all the time. History and daily experience teach us that, as a rule, the greater a person’s position and power the more selfishly despotic and greedily autocratic they are or become. I would guess that many people in positions of authority may begin with good intentions. But we also know that: Hell is paved with…. Though we often apply another meaning of great to those who are, “superior in character or quality,” the idea of great or greatness can also relate to rulers who are flat-out tyrants. At some point in time and through most of their reign, these dictators were revered to the point of worship, especially by their own people. Until their evil actions were too obvious to be missed or dismissed, their followers believed them to be the very embodiment of good. In fact, whether great or small (with all the connotations of that contrast), no one is innately good (by God’s measurement). And it is God’s absolute standards that ultimately determine goodness, morality, and righteousness. Otherwise what’s good to or for me may not be good to or for you. Thus, Adolph Hitler was a messiah-like savior to most Germans; for some, even to the bitter end. To others, especially European Jews, he was evil incarnate. Which was the truth as exemplified by his actions and those who yielded their loyalty to him. Thus, if we want to see and experience the very essence of integrity, we need to look to the universal source of such (great) goodness: The God of the Bible. All people, both bad and good need the Lord. Really … good people, too? Why? Because: “As the Scriptures say, ‘No one is righteous—not even one. No one is truly wise; no one is seeking God. All have turned away; all have become useless (in God’s eyes). No one does good, not a single one’” (Romans 3:10-12, parenthesis mine). Wow! Such an indictment of humanity. How, then, can anyone be or do good, no matter how great they are … or aren’t? Answer: We can’t, because innately we won’t. That’s why God took the initiative. He fully understands that it takes a supernatural change of heart, possible only by God imparting his righteousness and goodness to us when we believe and receive Messiah Jesus to pardon us from the sin that separates us from God. Just one sin makes it impossible for anyone to be enough or do enough to earn salvation. Just one sin (let alone the innumerable sins each one of us commits) makes us a sinner in need of God’s salvation. In fact, we sin because we are born sinners. 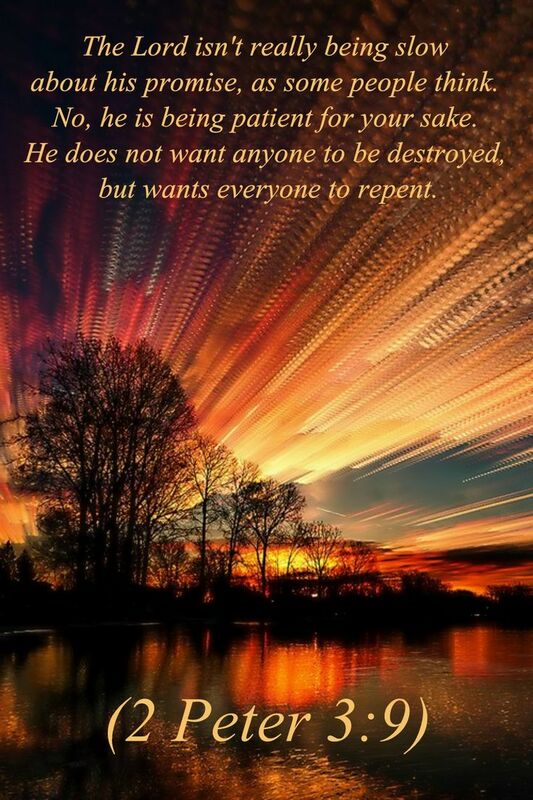 “For everyone has sinned; we all fall short of God’s glorious standard. Yet God, with undeserved kindness, declares that we are righteous. He did this through Christ Jesus when he freed us from the penalty for our sins. For God presented Jesus as the sacrifice for sin. People are made right with God when they believe that Jesus sacrificed his life, shedding his blood…” (Romans 3:23-25). “He heals the brokenhearted and bandages their wounds. He counts the stars and calls them all by name. How great is our Lord! His power is absolute! His understanding is beyond comprehension!” (Psalm 147:3-5). 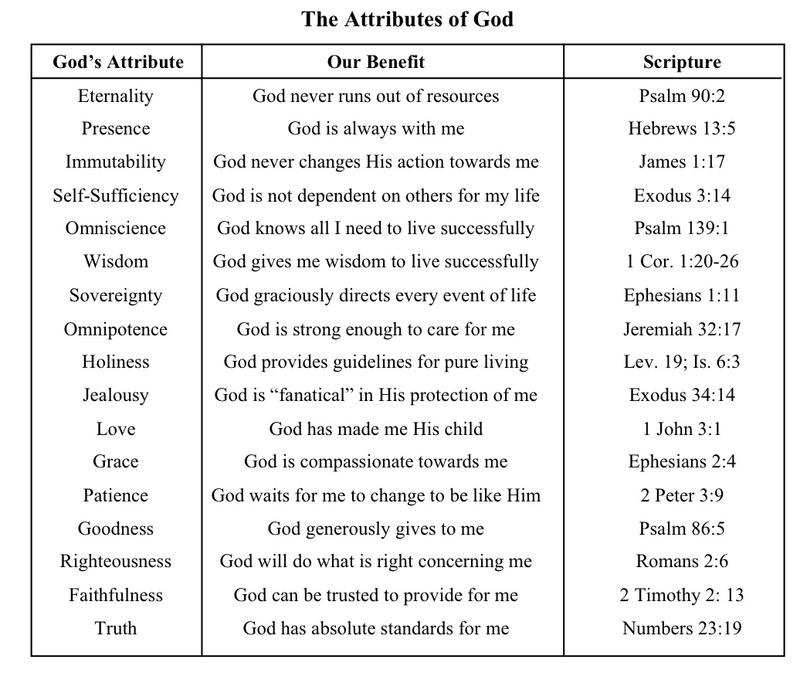 God’s immeasurable blend of greatness and (yet) goodness is replete throughout Scripture. Mostly in one or two verses at a time, especially in the Psalms like the one just quoted. There are also lengthy Biblical passages of individuals who praise the Lord for his greatness (who he is) and goodness (what he does). A combination that is both rare and temporary with people. Such as Mary when told she would conceive the Savior (Messiah) by the Holy Spirit (Luke 1:46-55); Zechariah after the birth of his son, John the Baptist, who would prepare the way of Messiah Jesus (Luke 1:67-79); Daniel when praising God for keeping his promises (Daniel 9:4-19); King Solomon after the splendid Temple was built (II Chronicles 6:14-42). Even pagan rulers including one of the greatest kings of all time; who acknowledged the true and living God after God had humbled him and stripped him of his crown for seven years, then restored him to the throne. Said this mighty king about the God of Israel: “…His rule is everlasting, and his kingdom is eternal. All the people of the earth are nothing compared to him…. Now, I, Nebuchadnezzar, praise and glorify and honor the King of heaven. All his acts are just and true, and he is able to humble the proud” (Daniel 4:34 & 37). These anthems of praise for God’s greatness and goodness are astounding. 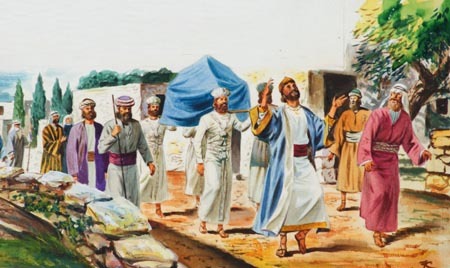 My personal favorite is King David’s accolade to the Lord after David led a joyful procession to (successfully, the second time) bring the Ark of the Covenant back to Jerusalem. It’s found in I Chronicles 16:7-36. “Give thanks to the Lord and proclaim his greatness. Let the whole world know what he has done” (Verse 8). “Remember the wonders he has performed, his miracles, and the rulings he has given…” (Verse 12). “Let the whole earth sing to the Lord! Each day proclaim the good news that he saves. Publish his glorious deeds among the nations. Tell everyone about the amazing things he does” (Verses 23-24). “Great is the Lord! He is most worthy of praise! He is to be feared above all gods. The gods of other nations are mere idols, but the Lord made the heavens!” (Verses 25-26). “Let the heavens be glad, and the earth rejoice! Tell all the nations, ‘The Lord reigns!’” (Verse 31). “Give thanks to the Lord, for he his good! His faithful love endures forever” (Verse 34). How then, does God still achieve his plan? How can he make all things work together for good (Romans 8:28) to those who love him and who are called according to his purpose? Okay, I’ll give you a hint: Because he is God! …But that still doesn’t explain how he does it. So, we are left begging the question because it is simply beyond our natural, finite comprehension; which is why God doesn’t demand or even ask that we completely grasp his providential sovereignty. If we could wrap our finite minds around his infinite omnipotence and omniscience, I suppose that we would be God. Ironically, that’s exactly what most of mankind, including natural scientists, human secularists, occult spiritualists, God-less governments and agnostic academia in general try to do. They inevitably ascribe to themselves the controlled capacity, the distinctive domain, and the potent position of determining their destiny. And if you will but afford them the privilege and opportunity; if you will “give them an ear,” they will gladly assist you in discovering your origin and purpose for life. Ultimately, if you yield complete attention and allegiance, they will be delighted to direct your future. …Every man and woman must choose what they believe and to whom or what they will listen and follow. Make no mistake; we all believe in something and we all follow someone or an ideal, even if it’s ourselves (Pages 22-23). From the dawn of human existence virtually every kind of government has been in place at one time or another. A country’s government is often a reflection of its people … their race, beliefs (religious or secular), moral values, ethnic upbringing, and tribal territory. But sometimes government can be an ill-conceived and unwanted bureaucracy with leaders vying for power and supremacy. All too often, innocent people are victimized by such power struggles, both citizens of the country and residents of neighboring nations that take exception to such Machiavelli type systems. …Moreover, the destiny of nations (both good and bad) has often been determined by the benevolence or malevolence of rulers … the laws they make and enforce, the decrees they issue, decisions they make, benefits they provide, and goals they aspire to. As the leaders go, so go the people. A ruler with integrity, compassion, and wisdom can be, and often is, a moral compass to the entire nation. 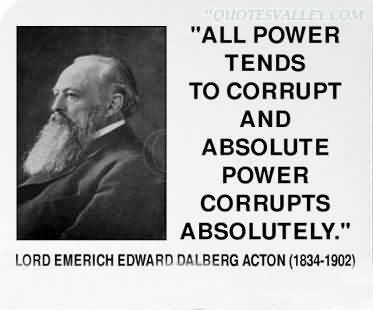 Conversely, a selfish, deceitful, evil ruler can bring an entire nation down. …The rise and fall of great leaders, noble and ignoble; of great nations, moral and immoral, is the stuff that legends are made of. And many of these individual and national epitaphs can be found in the Bible as well as secular history. For example, the glorious rise and inglorious fall of Babylon. What do you believe in? In whom do you place your trust? Who can you turn to when you truly need help? Who will listen? Who will care enough? If they do listen and they do care, can they help you? If so, how much? How often? All the time? Are they great enough and/or good enough to trust them with your life, both now and forever? Can they guarantee what the Lord does for those who love and know him as their personal Savior? “Keep me safe, O God, for I have come to you for refuge. I said to the Lord, ‘You are my Master! Every good thing I have comes from you’” (Psalm 16:1-2). Said the Apostle Paul: “And this same God who takes care of me will supply all your needs from his glorious riches, which have been given to us in Christ Jesus” (Philippians 4:19). That is pure greatness and goodness. “The (Holy) Spirit is God’s guarantee that he will give us the inheritance he promised and that he has purchased us to be his own people. He did this so we would praise and glorify him” (Ephesians 1:14). When we praise and glorify God, his blessings exceed our expectations. God is so great and so good that he (alone) can and will listen to an unbeliever’s prayer for salvation and all believer’s prayers—anytime, anywhere on earth. We don’t need an appointment with the Lord, as would be required with any person of power—good or bad. We don’t even need to “dress up” or “get our act together” for such a meeting. 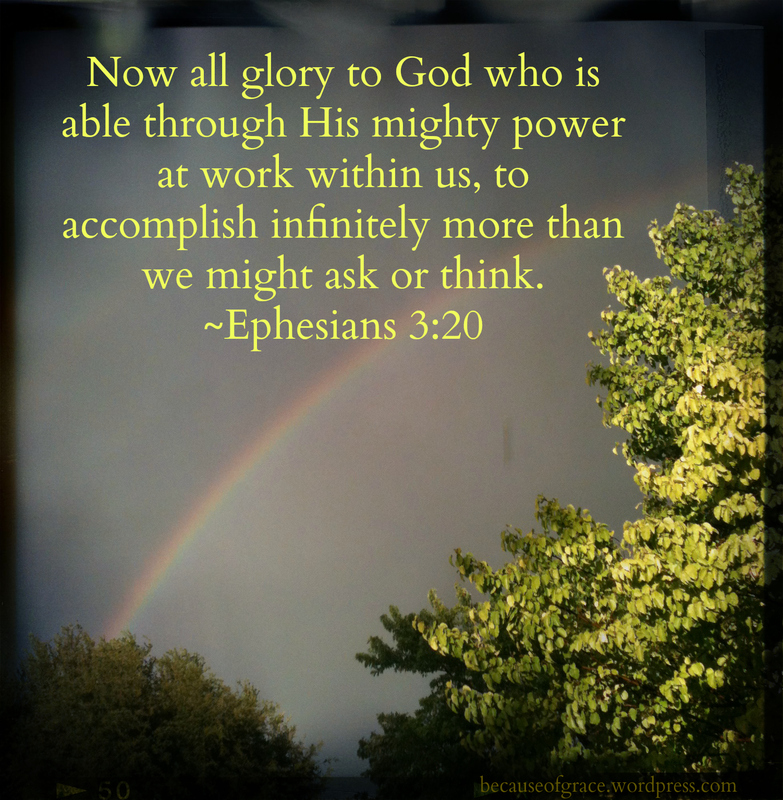 “So let us come boldly to the throne of our gracious God. There we will receive his mercy, and we will find grace to help us when we need it most” (Hebrews 4:16). Lord, you are so great! And yet so very good! I trust you with my life, such as it is!